The VL300 Short Stand Mount EVS (Electronic Variable Speed) lathe is the little brother to the VL300 SM EVS 2.2kW lathe. It comes with a powerful 1.5kW motor (2HP). 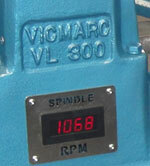 The electronic variable speed drive gives up to 200% torque on low rpm. The three-step pulleys provide 3 ratios 1:1 for small to medium size work; 1:1.5 for medium to large work; and 1:3 for large work. 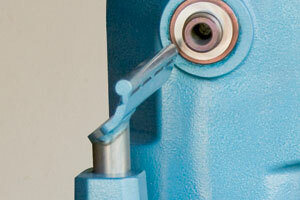 The lathe is fitted with all control buttons (inlcuding reverse) on the stand below the headstock for easy access. Remote magnetic switch box can be fitted as an optional extra.